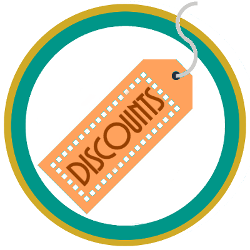 Create and manage discount codes when collecting payments for your events. RTEC Discounts Pro is an extension of Registrations for the Events Calendar Pro. 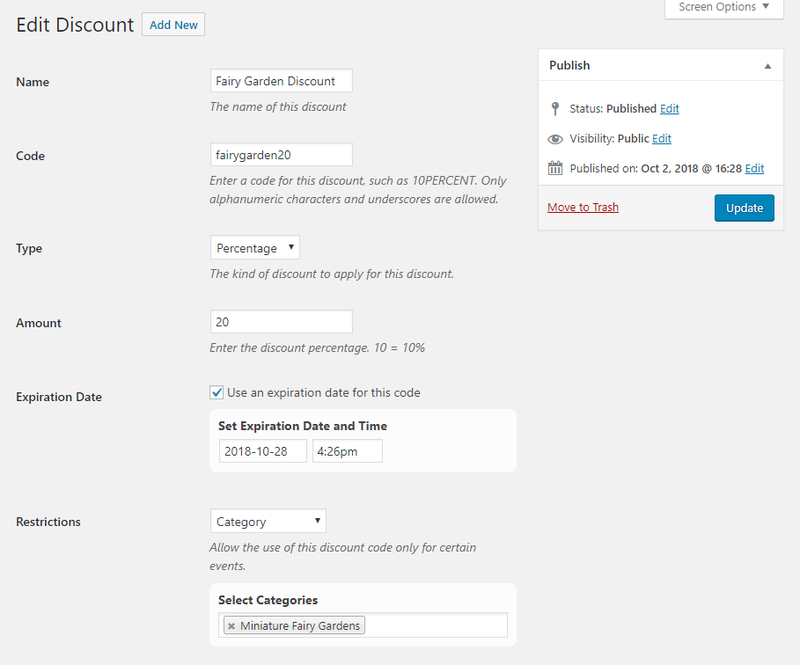 View and manage all of your discount codes just like you manage posts and pages in the WordPress dashboard. You can restrict discount codes by event category or restrict them to individual events. You can also set an expiration date. 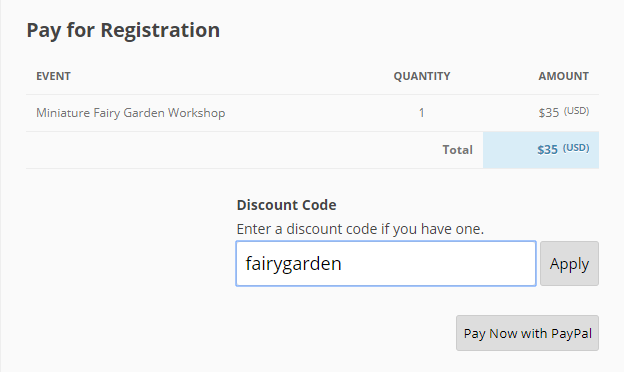 Just like many ecommerce platforms, attendees can enter discount codes when they checkout. A message will appear if the code is entered incorrectly. Codes are not case-sensitive. Your visitors will see the discount applied immediately and can then complete payment. Cancel discount code use for specific events. Restrict discount codes for specific venues or tiers (using the multiple venues and tiers feature). Choose between a percentage and flat discount type. *must also have Registrations for the Events Calendar version 2.5.2 or later installed.